Time: 7:30 p.m. to 11:30 p.m.
Tickets will be available for sale at the door on June 1st at 7:30 p.m. Cost is $50. To be the first to know about Mom Prom news, sign up for email updates. FLASH MOB NEWS: Want to be part of the Mom Prom Flash Mob? CLICK HERE TO LEARN THE 2018 FLASH MOB DANCE. Want to see what Mom Prom is like? Check out this video of some of the highlights of last year’s event. Mom Prom ticket sales raised thousands of dollars for the JDRF Family Camp. For more info about the charity where prom proceeds go, click here. 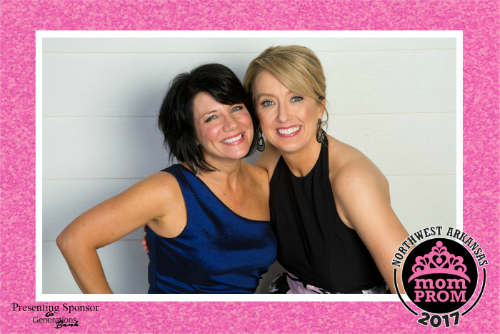 The NWA Mom Prom is hosted by the co-founders of nwaMotherlode.com, the region’s largest mom-focused website. Click here to visit!